When it comes to mountain travel, many of us have experienced how quickly and drastically conditions can change. In these times, it’s great to have equipment that can adapt as easily as we can. 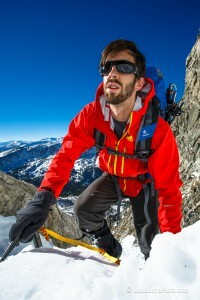 The Lycan sunglasses by Switch Vision (switchvision.com) live up to that standard. The signature feature that Switch has built into all of their glasses is a patented magnetic interchange so you can easily swap out lenses to meet the conditions. 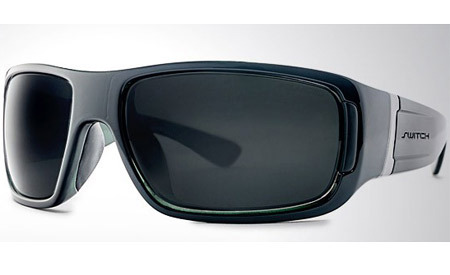 When I first saw them, I had doubts as to how secure the lenses would be against jostling and bumps. I can shake them and bump them against anything and the magnets are strong enough to hold the lenses in place, and then they easily swap out. This doesn’t mean they will never scratch, though I haven’t had troubles in that arena as of yet and all of their lenses are made of a shatter-proof polycarbonate. Early morning starts mean low light and sometimes the clouds don’t break for some time. This is why it’s great that their frames come with 2 sets of lenses to get you started. I can start my day with the low-light Rose Amber lenses and transition to the polarized lenses once things brighten up. Switch has a full line of frames and lenses for just about all conditions and activities.